Presidio Pr. Hardcover. 1853670294 Fast handling - Orders prepared for Shipping Next Business Day! . Good. Presidio Pr, 1990-03. Hardcover. Good. Presidio Pr. Hardcover. 1853670294 Clean and bright. 382 pp. . Fine. 1990. Greenhill. Good in Fair dust jacket. 1989. Hardcover. Napoleonic Library 13. Hardback; lean to spine, foxing to edge of pages otherwise good in faded and creased dustjacket. 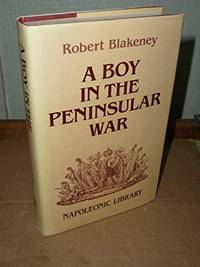 ; Memoir of Robert Blakeney who served with the 28th Foot in the Peninsular and later with the 36th in the Pyrenees. 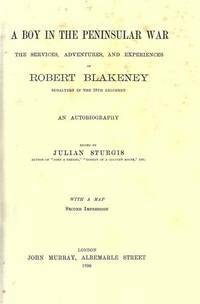 Reprint of 1899 edition. ; Napoleonic Library; 382 pages . London: Greenhill Books, 1989. Hardback. A very good copy in a very good dustwrapper. A clean copy without foxing or ownership inscription. Pp.xviii,382. Described as "a fascinating account of marches, bivouacs, battles and sieges plus a plethora of adventures on and off duty." 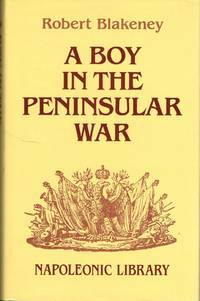 One of the finest Memoirs of the Peninsular War, this is a facsimile reprint of the first edition of 1899. .
Novato, California: Presidio Pr / Greenhill Books. Very Good+ in Very Good+ dust jacket. 1989. Reprint. Hardcover. 1853670294 . Book is clean and tight, small bump to top of spine and dust jacket has a small bump to bottom front edge. Very, very close to near fine. Looks unread. .
1990-03-01. Good. Ships with Tracking Number! INTERNATIONAL WORLDWIDE Shipping available. May not contain Access Codes or Supplements. May be ex-library. Shipping & Handling by region. Buy with confidence, excellent customer service!